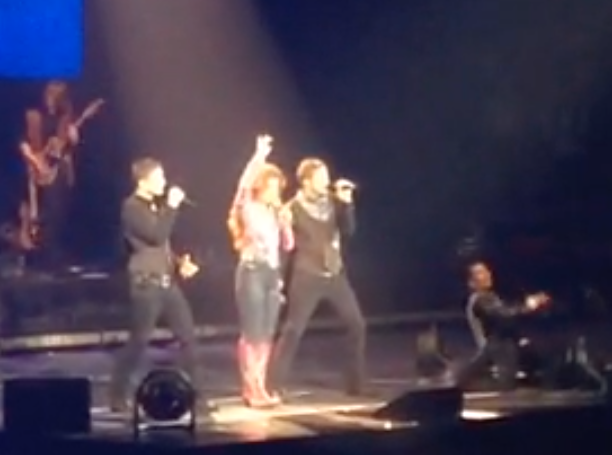 ...and Canada's Country Queen did not disappoint! 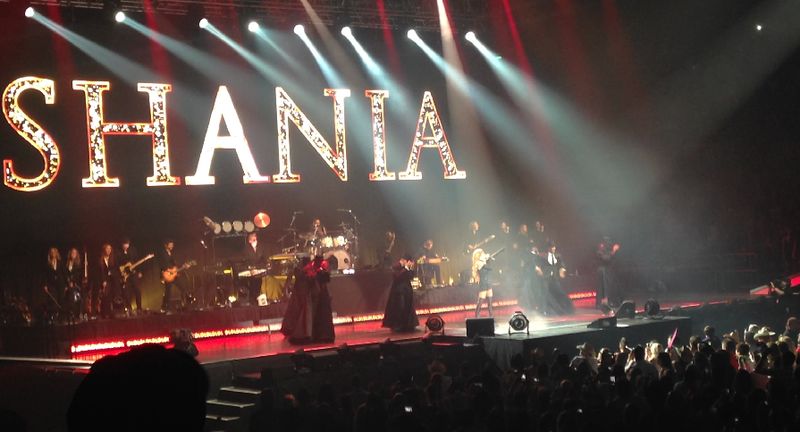 After almost a decade of not touring and two years of residency in Las Vegas, Shania brought the show to her Stampede loving fans and it was wonderful. Unless, of course, you hate theatrics, funny crowd interaction and loads of cowgirl BLING. 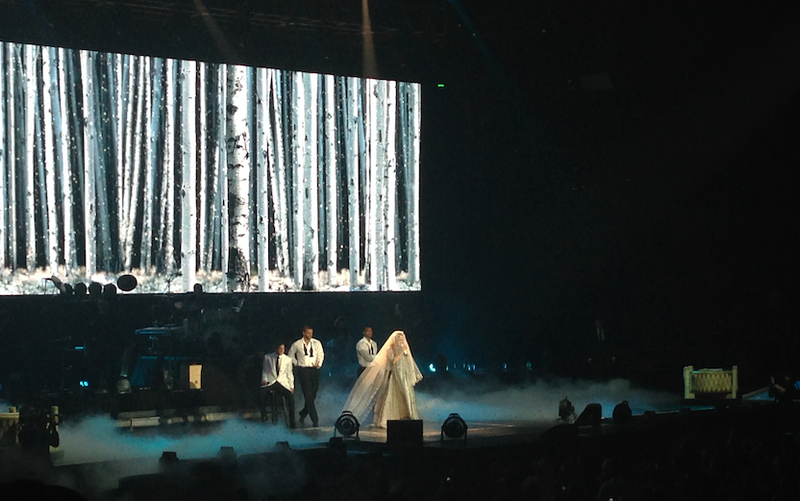 The woman made it snow during Still The One and I am pretty sure people cried. (I didn't, obviously, but other people probably did.) She took selfies on stage with fans (4 of the 6 were from AMERICA - which annoyed me. I booed them, obviously.) Her husband came on stage at one point and I had to remind myself he is not Kenny G (Or is he?! I JUST DON'T KNOW!). She sang hit after hit after hit until I was like...OMG, Shania Twain was my 90s. Besides Dave, the other supporting cast of the night that brought the show from "awesome" to "MAGICAL UNICORN EXPRESS" were Shania's backup singers. Ryan and Dan Kowarsky. Also known as the classical duo RyanDan. ALSO two of the three members of your favorite inappropriate 90s song group b4-4! Shaina is so ballin she got the "If you get down on me, I'll get down on you" guys to be her backup singers. That is out of control. 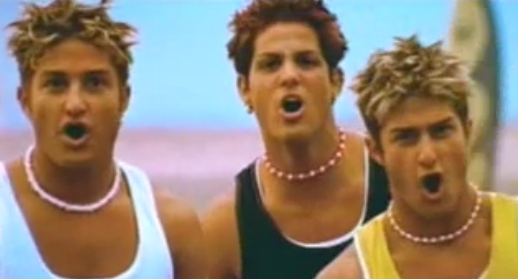 I will tell you that I recognized them right away...probably because I am constantly doing "Whatever happened to the spiky haired b4-4 singers" posts and know the non-guido looking version of them. I yelled to everyone in my section that it was RyanDan and they were like - lay off the Stampede crack. THEN, Shania introduced them and justice was served to the disbelievers. I would be lying if I told you I didn't leave the concert yelling "That was the best b4-4 concert anyone has EVER been to" on my way to buy deep fried pickles on the Stampede grounds. After a night of glitz, glamor, Shania and RyanDan - it's doubtful that anything will top it this Stampede. It's one for the books.